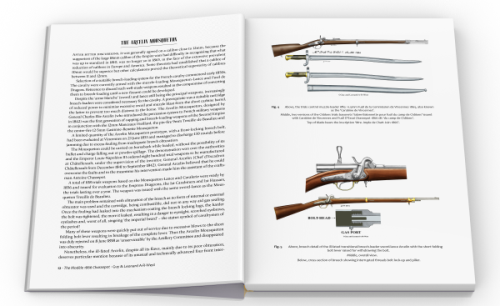 The first book solely about this weapon to be published in English and a valuable resource for collectors, dealers and antique firearm enthusiasts. 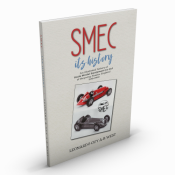 Featuring the Dreyse Zündnadelgewehr (‘needle-ignition rifle’) this is the second book in a series by authors Leonard & Guy A-R-West and contains knowledge accumulated over several decades of collecting, researching and shooting antique firearms. 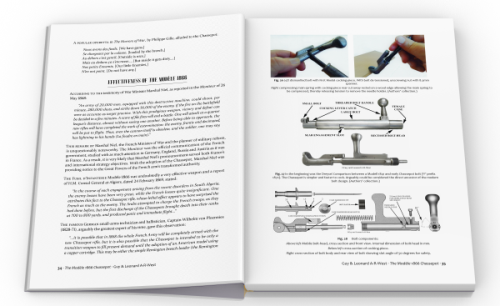 It is also the first book about this historic weapon to be published in English. Invented by Johann Nikolaus Dreyse and developed at his works in Sömmerda in the central German state of Thuringia, the Dreyse Zündnadelgewehr was a historically significant weapon, being the first breech-loading rifle to use a bolt-action to open and close the chamber. 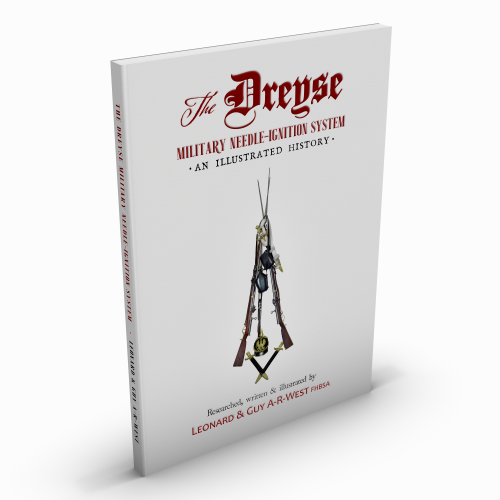 The Dreyse system also used a cartridge (sabot) containing the ignition element, propellant charge and projectile all-in-one, ignited by the point of a needle which passed through the paper case to impact a percussion pellet at the sabot’s base. These innovations marked a major turning-point in rifle design. After a long period of development from 1827, production of the Dreyse Zündnadelgewehr began in 1841, making it the first mass-produced, bolt-action, breech-loading rifle for military use, boasting a rate of fire of about 10 rounds per minute. The Prussians adopted it for service in 1848 and variants were used by the Prussian army until 1876. Prussian successes, significantly in the Austro-German War of 1866 led to the principles of bolt-action, breech-loading and needle-ignition being adopted by the French Fusil Modèle 1866 ‘Chassepot’ (the subject of Guy & Leonard’s first book) and thereafter by manufacturers word-wide, making the Dreyse Zündnadelgewehr the progenitor of all subsequent breech-loading bolt-action rifles. 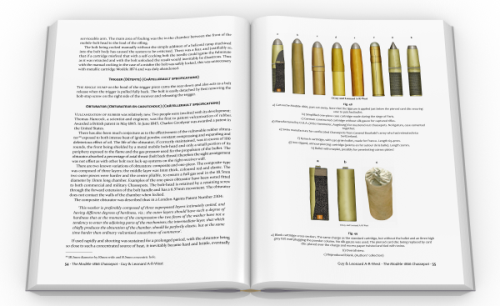 This book contains a wealth of in-depth information that will be of particular interest to collectors and enthusiasts with detailed drawings and cutaways illustrating breech and ignition mechanisms, distinctions between weapons made by different manufacturers, various kinds of ammunition, and much more. The authors conclude by providing their evaluation of firing this weapon in comparison to other vintage firearms of the same era.